Most people try to stay far away from hissing cockroaches, desert hairy scorpions, and venomous, six-eyed sand spiders. Not the team of thieves that hit the Philadelphia Insectarium and Butterfly Pavilion over four days in late August. They made off with those critters and nearly 7,000 other insects, spiders and lizards – more than 80 percent of the institution's collection. John Cambridge, the facility's owner and chief executive, said he and his colleagues first noticed animals missing from their enclosures. Then they discovered that a backroom used for storing scores of off-display animals contained empty shelves. At that point, Cambridge and his employees checked security camera footage. "And then [we] just put our head in our hands for the next 12 hours as we put the pieces together," he said. In video from Aug. 22, five uniformed employees can be seen milling about the firelegged tarantula exhibit. One man, a museum director, opens the tank, scoops the spider into a small container and walks away. Less than a minute later, a group of visitors enters the frame, and the remaining four staffers return to work. Other security cameras captured the employees loading some boxes into their personal vehicles and removing others via a fire escape. Philadelphia police have not named any suspects or filed charges, but Cambridge said the footage left little doubt that the heist was an inside job. "Movement of creatures throughout the facility is quite common," Cambridge said. "We're always taking things for education programs, doing maintenance, cage exchanges, and so they just walked straight out the front door with them." But why? 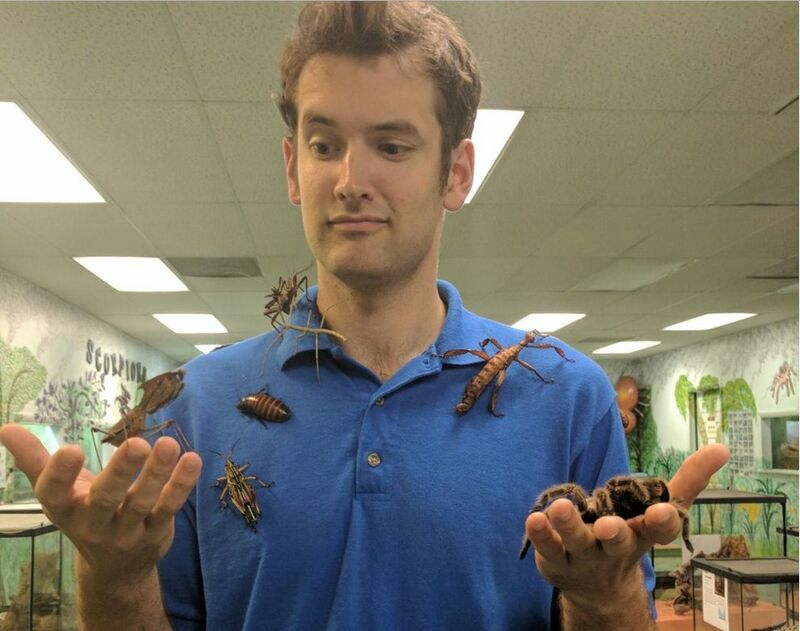 Who would want 7,000 very creepy crawlies? Plenty of people, it turns out. Cambridge said the exotic pet industry is "absolutely bursting with buyers right now" – and not just for furry foxes or lemurs, but for insects, too. Some of the stolen animals are known to fetch a pretty penny. A healthy adult Gooty sapphire tarantula can cost more than $350, while Mexican fireleg tarantulas go for $250. Rhinoceros cockroaches are worth $500 per mating pair. According to a police report, the entire theft is estimated to be worth $30,000 to $50,000. "This is the largest living insect heist we've been able to find," Cambridge said. 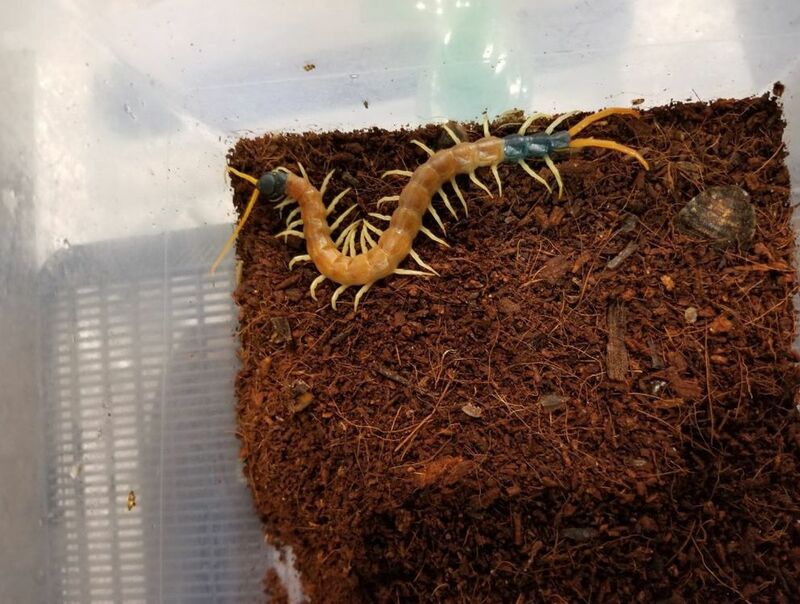 Karen Verderame, who has spent more than two decades caring for live arthropods at the Academy of Natural Sciences of Drexel University, said the theft of a living collection is nearly unheard of. Zoos, museums, researchers and private collectors must possess permits for many of the pilfered species, and few want to risk losing their permits by getting involved in trafficking. But the fact that insects and arachnids are generally easy to transport and care for is part of what makes illicit trade in these animals so difficult to curb. These species can easily be sent in the mail, Verderame said. "If you're trying to ship a monkey, that's a whole other story, right? But an insect, you can put it in a box with insulation and claim that it's something else," Verderame said. "Unless they have reason to open up that parcel, for all they know it's what you say it is. It's that easy." Sales of regulated and banned insects take place online as well as at legal trade shows, Verderame said. Such creatures require permits for a reason. Some, such as hissing cockroaches, are restricted because they could establish breeding populations if released in hospitable environments, such as Florida. Others, including many tarantula species, are restricted because they're becoming rare in their home ranges. Unfortunately, scarcity can also drive demand. "I think that's sometimes some of the lure for them. They're a unique specimen, and they are fascinating," Verderame said. "A lot of people have never gotten to see one alive." The exotic insect industry is particularly lucrative in Asia, where scarab beetles are traded like show dogs, she said – some for their beauty, others for their ability to fight. "The males have horns they use to wrestle other males for a mate," she said. The insects can even be encouraged to square off by the introduction of a bit of a female's pheromone into the ring. The FBI joined the investigation in Philadelphia over the weekend. This may be because one of the former employees – all of whom have since been fired – suspected of taking part in the theft lives in New Jersey, Cambridge said; if animals were moved across state lines, federal charges might also apply. The theft, meanwhile, has forced the insectarium to shut down two of its three floors, leaving the butterfly pavilion as the only open exhibit. 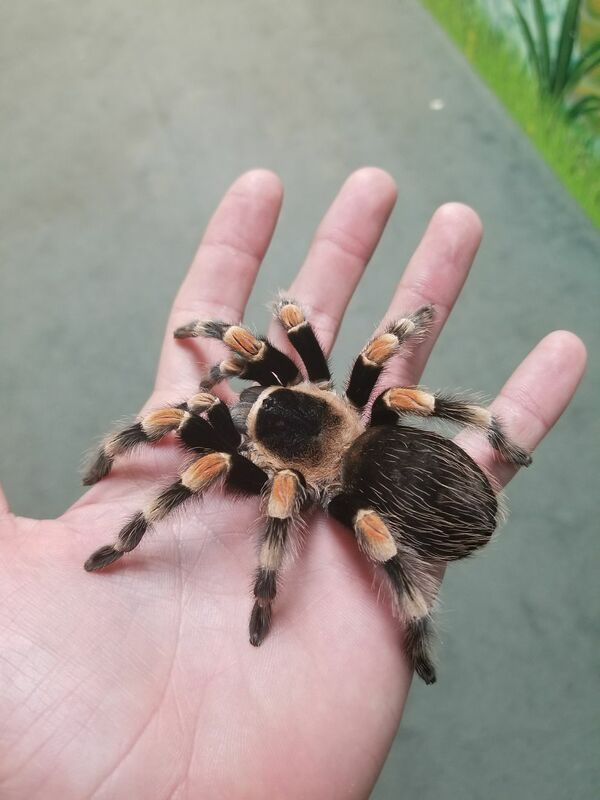 Police recovered the fire-legged tarantula during a search of one former employee's house, but most of the stolen animals are still unaccounted for. Cambridge said he almost hopes some have been sold because he doubts their captors would be able to care for all of them adequately for this long. "If they haven't sold, they've probably died," he said. While part of the building is closed, the team is acquiring thousands of new insects, rebuilding exhibits and planning to host a grand reopening in early November. It will celebrate hard-to-love animals that are among the most abundant, and resilient, life forms on the planet. What better, Cambridge said, to inspire the next incarnation of the museum? "Humanity has managed to name roughly 1.9 million organisms in the world. And of that number, 1.1 million are insects," Cambridge said. "We plan to come back even stronger."